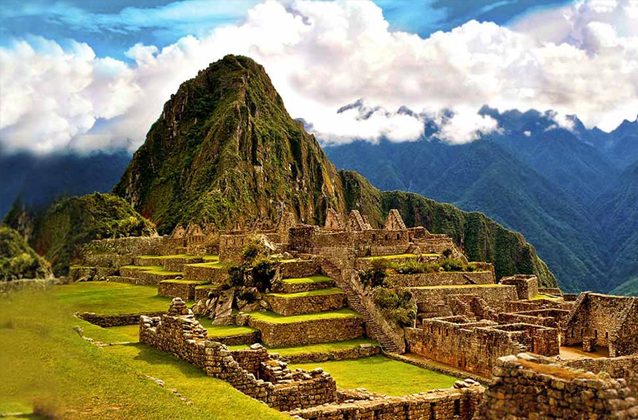 Machu Picchu is the ancient Incan city known for its intriguing architectural and archeological sites and is even one of the New 7 Wonders of the world, but it is also known for its other ancient residents — llamas! Llamas were a treasured staple of Incan culture for their ability to survive on small amounts of water and poor-quality plants found at 3,000-5,000 feet, while still providing wool and meat. They also have the ability to carry heavy loads over the rocky terrain. Their poop is even said to be one of the secrets to the Incas’ success, as it was a very effective fertilizer for maize, the Inca’s main food source! Llama herders were held in such high esteem that they were considered members of nobility back in the day. The people of the Andes domesticated llamas around 4,000 B.C. The fact that they are still roaming freely around the grounds of Machu Picchu today (along with their cousins, the alpacas) adds to the historical experience while visiting the ruins. These fuzzy, adorable ungulates are quite gentle and are accustomed to humans stopping by to visit their home. And with Machu Picchu being one of the most photographed tourist attractions, the photogenic llamas who call it home are also quite used to striking a pose for you, or even photobombing your epic shot.